We are currently offering 1 registration level— FREE! This is required in order for the email feature to function. We do not share this information ever! REGARDING ALL PURCHASES AND DONATIONS― Users agree to hold site owners and representatives harmless of any and all claims arising out of the implementation of the opinions, concepts, methods, interpretive comments, or suggestions offered. Under no circumstances do we provide refunds. In addition to element symbolism, dream interpretation is based on a myriad of factors which should be considered before drawing conclusions. Interpretive comments are for suggestion purposes only, and we cannot guarantee that the comments we provide applies wholly to your dreams. We believe, however, that we do an exceptional job through experience and the help of the Holy Spirit. Relevant background information that you provide can be helpful and moving the interpretation from general and broad to specific and applicable to a particular situation. 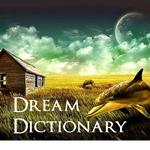 Dream interpretation on this forum is based on the beliefs of the authors in conjunction with their Biblical studies, ministerial ordination, and personal experiences. REGARDING COURSES― We guarantee that the courses available on the Prophetic Dreamers Institute will function properly (minus a few hiccups). Should you have any technical issues, please let us know immediately and we will address them as soon as possible. All course purchases are non-refundable. Course content is based on the beliefs of the authors in conjunction with their ministerial ordination, Biblical studies, and personal experiences. Users agree to hold site owners and course authors harmless of any and all claims arising out of the implementation of the opinions, concepts or methods offered. The content of the courses is copyright protected, and all distribution, reproduction, and teaching rights belong to site owners and course authors. Purchasers agree to refrain from any distribution, reproduction, or teaching of the any of content within the materials. If you are blessed by the courses, please refer friends and family to the site. If you are interested in teaching the courses live, licenses for doing so will be offered for students who have certifications and excellence badges for the required course combinations.